Hostel Franchises for international franchise investors. We help property owners transform their business into an awesome market leading hostel brand targeted at a millennial audience. The most successful franchise and property investment partners share our vision of building a socially responsible, fun & design-led hostel for our customers. We are focused on engaging social spaces, sharing local cultures and experiences and having a positive impact on our communities. We have social responsibility at the core of what we do, and our hostel partnerships deliver true bottom line value for our people, investors and our communities. From our side, you can expect an experienced brand partner behind you and committed to your success, that has a solid track record in Asia and explosive rates of customer growth. You will receive training, mentorship, experience and advice every step of the way, we will show you how to maximise your investment return by delivering the best customer experience for your customers. When you choose Mad Monkey you will be dealing with a private family company that understands the emphasis on sustainability and building for the long term, we also treat our partners with respect and greatly value our common trust and transparency. You will need to have a property or have a property identified. You will need to be genuinely want to build a business that positively impacts your local communities. We seek properties with the capabilities to provide a mixture of both shared dorm and private room accommodation to accommodate 100 – 150 customers and social spaces that must include a bar licensed to sell and serve alcohol, restaurant space and dedicated kitchen area. A swimming pool or capability for a pool is also beneficial. We are looking for people that want to have a positive impact on their local communities, for that reason within 12 months of opening we require our hostel partners to make a commitment to raise funds for a recognised local charity doing good work in their communities. We also look for partners that understand that investing in peoples skills, training, development and overall happiness with fair wages, health benefits and continuous coaching is the key to a successful hostel. We work with property owners, property investment companies, individual franchise owners and franchise chain investors that wish to adopt & improve upon our method of doing business, adopt our corporate culture and commitment to running a great hostel that helps their communities and local team members. We provide all of the support and materials and know how you need to be successful, your success is our success and we are committed to ensuring that every single franchise we enter into is representative of our brand and replicates our global success. We provide training services for all of our hostels, including the management training that you will need to be able to run and operate your hostel effectively. 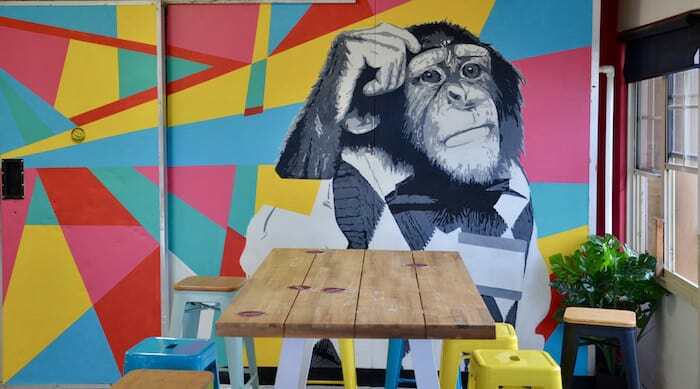 We include service training, help in defining menus and F&B offerings and also provide you with an experienced manager during the build and launch phase of your new Mad Monkey Hostel to ensure we iron out any early teething problems and build confidence and capability in your team. We provide HR experience and assistance with recruitment. Our international team includes management professionals, general managers and experienced young professionals with Mad Monkey brand experience. Many of our team are eager to work on new openings and as they have a passion for travel a two or three-year engagement with a new hostel is always a welcome opportunity. We have investment partnerships to help facilitate investment. We have spent many years developing a comprehensive technology stack for a new hostel that provides core functions such as booking engine, electronic point of sale, yield management, customer relationship management, payment processing and marketing technology. A typical hostel deployment takes just two weeks to deploy the entire technology stack of products that work together in order to get your hostel franchise up and running smoothly. We provide a full set of advertising services, marketing creation services, plus access to our growing supply chain of over 1M past Mad Monkey customers to help you build rapid demand for your Mad Monkey property. Our management support includes access to legal and financial services, consultancy and help along the way. We also assist with financial aspects including audit, compliance, accounting and business management to support your business growth and success. We are fully committed to our partner’s success and we understand that your performance reflects on our brand value, for this reason, you will be afforded every assistance to ensure your business rocks and replicates our success internationally. We operate a fun, caring and socially responsible environment that focuses on triple bottom line performance. We take care of our people with comprehensive benefits, consistent training and a commitment to their future. We are also active in our communities, every Mad Monkey hostel is required to establish its own positive corporate social responsibility agenda within 12 months of opening that ensures our partners gain trust, respect and maintain active positive involvement in the community around them. We want to make partnership and participation in our brand accessible, for this reason, our fees are low and we actively reward our partners by reducing fees for delivering on our socially responsible purpose and for exceptional customer service. Payments of our management fees are staged throughout the delivery of your hostel, with 25% on contract, 25% on GM selection and 50% on the morning of your Hostels Grand Opening. The best way to reach out to us is to make contact by email to marketing (at) madmonkeyhostels.com. We will normally call you back within 48-72 hours for an initial 15-30 minute discussion about your project.